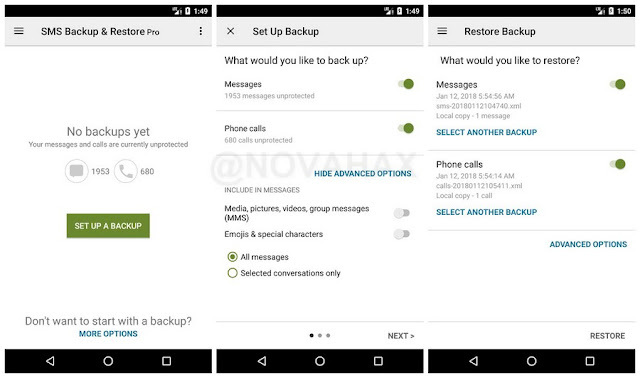 SMS Backup & Restore Pro is a simple App to Backup and Restore SMS Messages. This is a Paid No-Ads version of the Ad-Supported Free App. New version of our main app, (the free version), which combines the functionality of backing up and restoring both text messages and call logs! 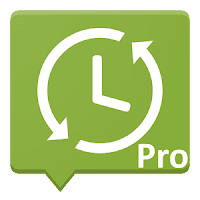 In mid-February, we will discontinue support for this PRO version app, and focus on the more feature rich SMS Backup & Restore FREE app which we will be updating regularly. Backup SMS (text) Messages in XML format. Local device backup with options to automatically upload to Email, Google Drive or DropBox using the add-on app. Ability to restore pre-existing SMS or call logs backups from our other apps.